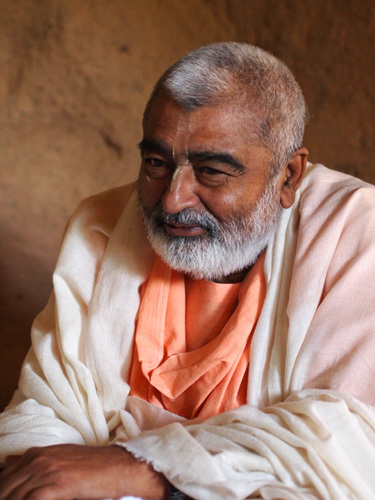 Sripad BV Sadhu Maharaja is neither a scholar nor a teacher in the usual understanding. As a former king of Munger he decided one day to give up all power and wealth to search exclusively for pure love of God, prema. Meanwhile he travels through South America and Europe radiating love and kindness with every step he takes. Seeing real beauty everywhere and in everything he unites people from different backgrounds on the basis of loving understanding and of relationships on the platform of the soul. He belongs to no institution and brings together people where religious group-thinking created separations. His humble and sweet nature shines like a brilliant light into this world, being a wonderful example for everybody who comes in contact with him.